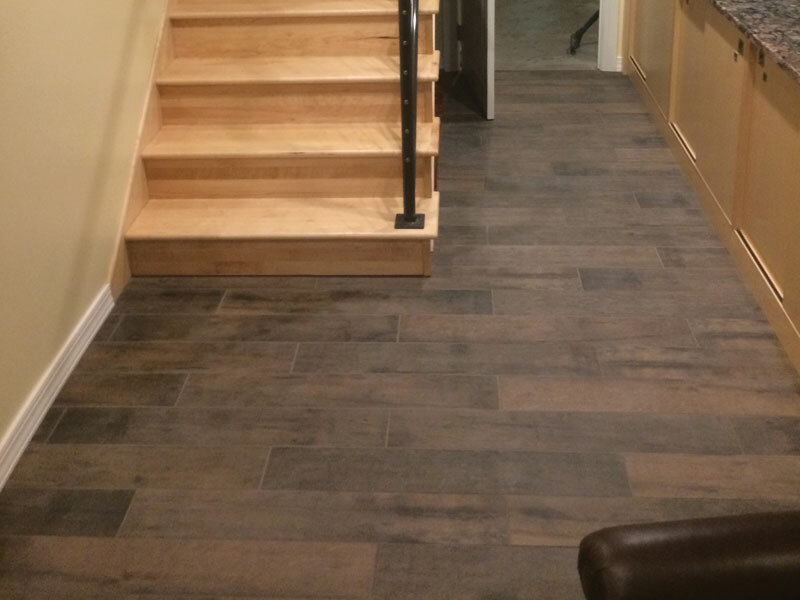 Embassy Tile & Woodworking was the tiling subcontractor on a bigger basement remodel. These pictures highlight the work we did for this project. This picture shows the work done on the basement bar. 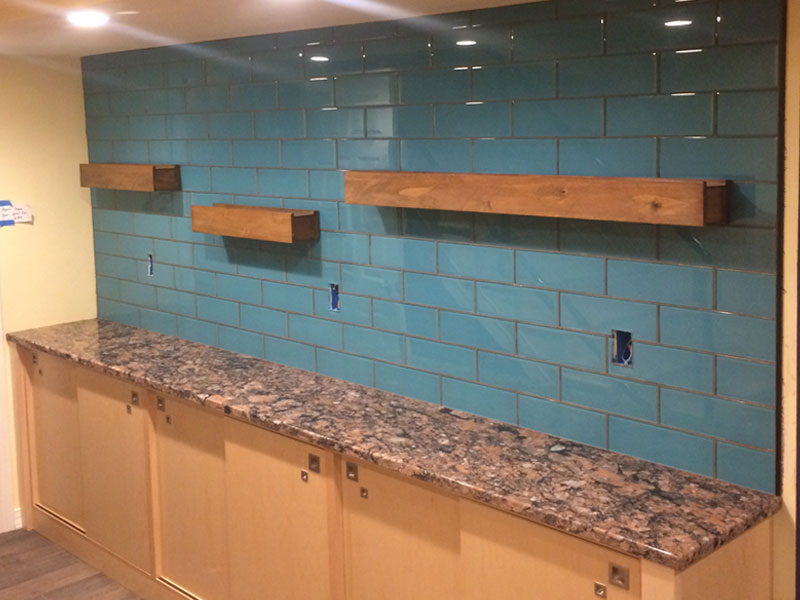 The blue tiling is 4" x 12" high-gloss glass placed on the wall behind the newly installed bar. Glass tiling is currently a popular option for any project. Below Left: This picture shows our work on the floor tiling piece of the project. Below Right: The picture highlighted here is tiling placed around the fireplace in this home remodel. 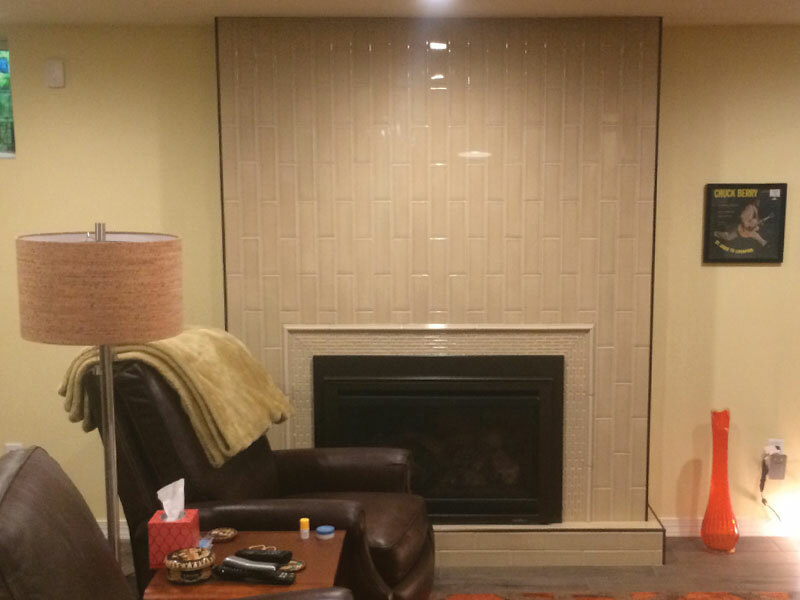 Tiling your fireplace adds a sharp, clean look to your basement, den, or living area.